We do not wear our illnesses like badges, they seep into the back of our minds and can hide in the background. Sometimes however, we do have things visible to the naked eye. Sometimes we have scars, scratch marks, or other forms of self-harm that streak our bodies. Regardless of our struggles, it is important that we see the vibrant, beautiful people that we are and do not let our disorders keep us from blossoming. 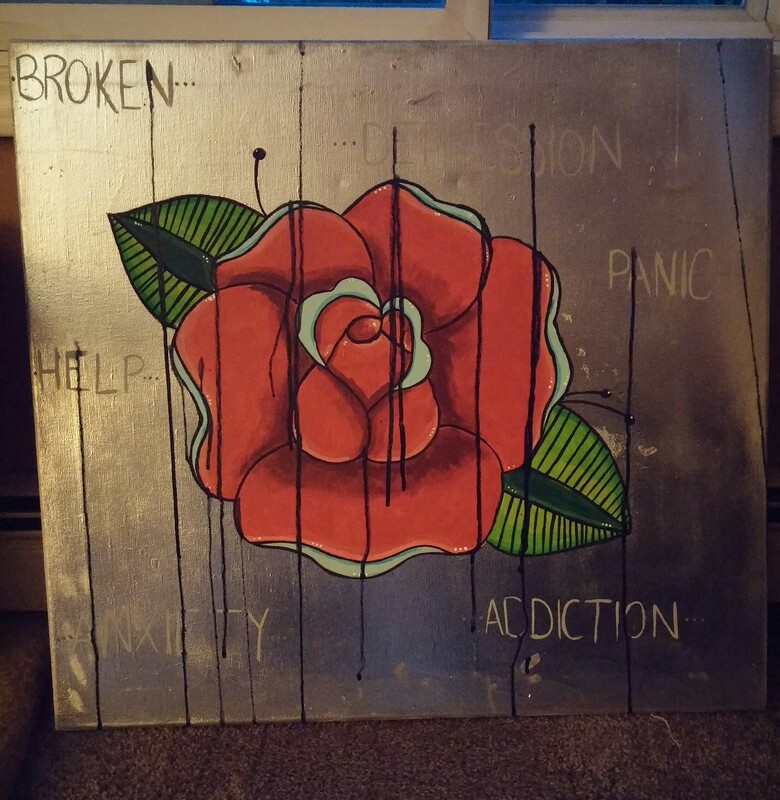 Here’s A beautiful piece or art created and submitted by Rebecca. Check out the accompanying Coping: This is Who We Are piece she wrote here. Reblogged this on Iconic Tonic.